Last fall, I was taking the season by stride and loading up on all types of fall seasonal produce. 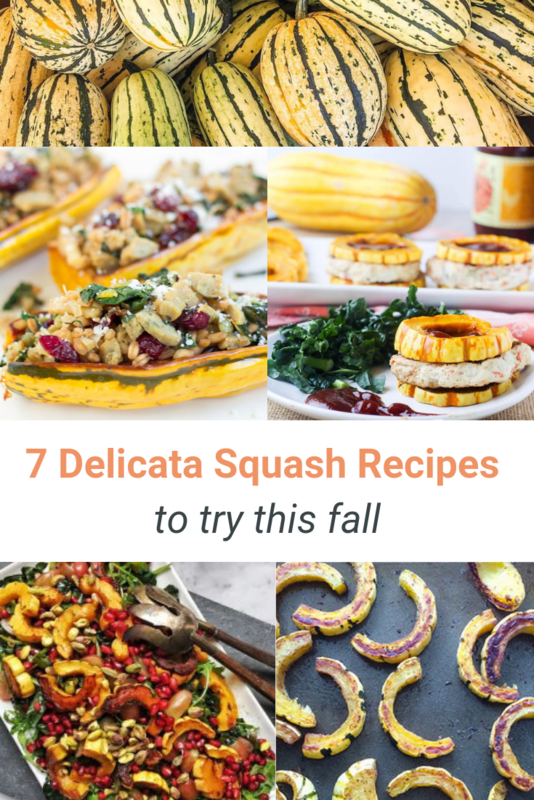 But, we were getting tired of the same ole’ butternut squash options, so I looked into some other not-so-common fall veggies and discovered delicata squash! Because many people aren’t as aware of this veggie, I had a pretty hard time finding a good delicata squash recipe on the internet! After trying a few delicious roasted delicata squash recipes, I knew I needed to start talking more about this awesome and underestimated vegetable! Delicata squash is a winter squash variety, along with pumpkin, acorn, butternut, spaghetti squash, and more. But – it definitely does not get the credit it deserves! This green striped, cylinder shaped squash has an orange flesh with seeds. As its name suggests, delicata squash has a delicate, tender, and edible skin, unlike most other winter squash. It has a rich, creamy texture, that many people compare to pumpkin or butternut squash. Roasted delicata squash is the most common preparation method, as it brings out a delicious caramelization flavor. Here’s the best part: it’s WAY easier to cut and prepare than most other winter squash. Have you ever tried cutting a spaghetti squash? Um, yeah, not the easiest! 😉 In learning more about delicata squash last fall, I found that many conventional grocery stores do not stock it that often. But, don’t worry! You can often find delicata squash in health food stores such as Whole Foods, Trader Joe’s, or your local farmer’s market during the fall season! Nutrition quality of delicata squash. Rich in beta-carotene (a precursor to vitamin A). Over 20% of your daily needs for vitamin C.
Excellent source of potassium (over 25% of daily needs). Plus, it tastes so creamy and is a fun way to mix it up during the fall and get your family to try new foods! 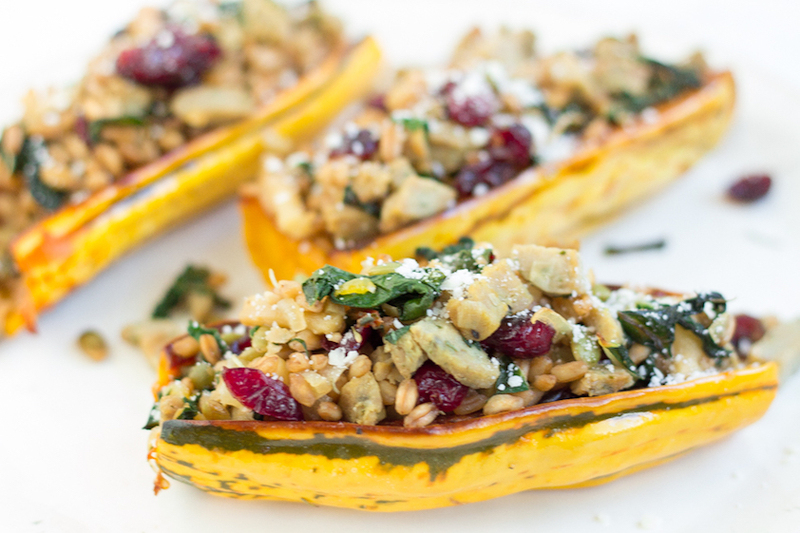 Here are 7 new ways to try delicata squash recipes this season. This delicata squash recipe from plant-powered registered dietitian Sharon Palmer provides a fun twist on using delicata squash – in soup! 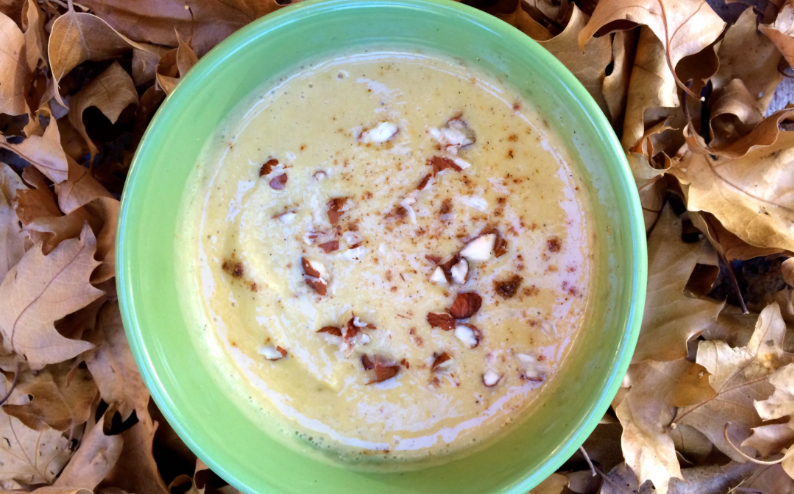 Who doesn’t love a creamy soup in the fall once the weather cools!? Plus, this recipe is completely plant-based (vegan) as well. Sharon pairs boiled and blended delicata squash with the warm, spiciness of Chinese 5 spice. This spice blend is typically made of (you guessed it) 5 spices: star anise, cloves, cassia cinnamon, Szechuan pepper, and fennel seeds. Many stores sell this spice blend to make it quick and easy to use. With only 8 ingredients, this soup is an easy and tasty way to incorporate more delicata squash into your meals this fall. If you’re needing a simple, fall vegetable to go along with the rest of your meal, registered dietitian and cookbook author, Liz Weiss, gives the perfect answer! Roasting delicata squash is pretty easy, but, like with any new vegetable, it can be intimidating at first. Liz’s roasted delicata squash recipe gives a great step-by-step guide for how to roast this type of squash. Paired with cinnamon and butter (or cinnamon butter as Liz used 😍), this delicata squash recipe will taste like a sweet treat! Lauren’s recipe optimizes several fall produce items in addition to delicata squash such as: sliced apples, craisins, pumpkin seeds, and chopped swiss chard! It also includes farro, which is a so-called ancient grain. Farro is a great source of fiber, magnesium, and zinc – all important nutrients in building up a strong immune system for the impending cold season. 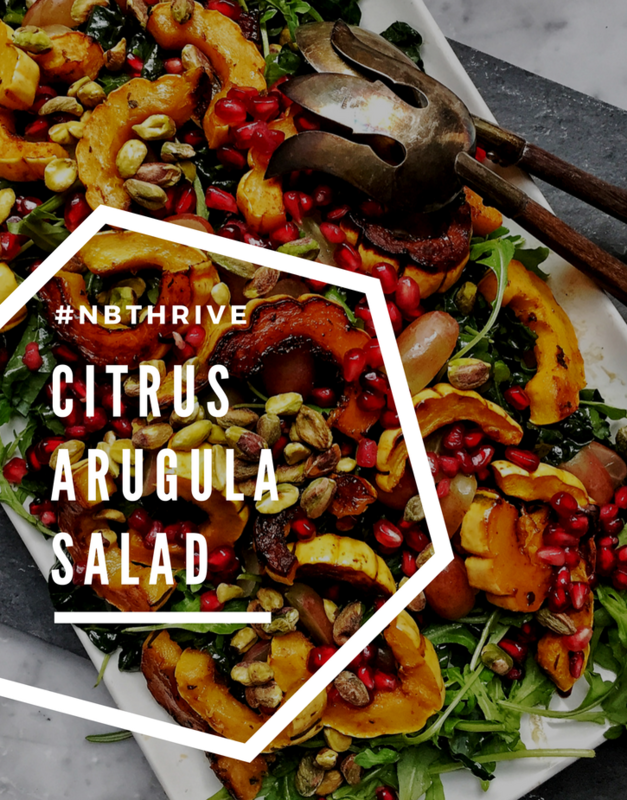 Embrace the season with this arugula salad featuring roasted delicata squash! 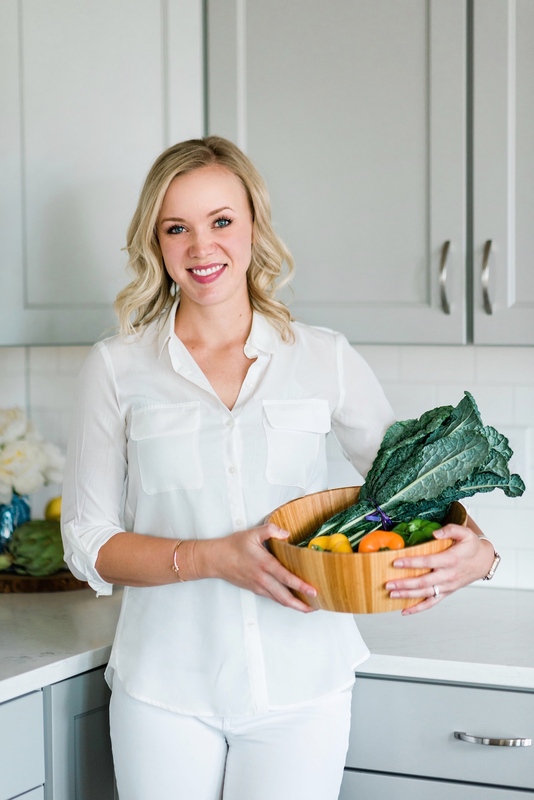 Integrative dietitian, Katie Cavuto, curated this antioxidant-rich recipe which has the dark leafy vegetable, arugula, as the perfect foundation. As a hearty addition, Katie also throws in other seasonal powerhouses such as pistachios, grapes, and pomegranate. Say goodbye to flavorless salad dressings because this recipe includes an amazing vinaigrette dressing combining orange juice and pomegranates for a sweet, citrus spin. 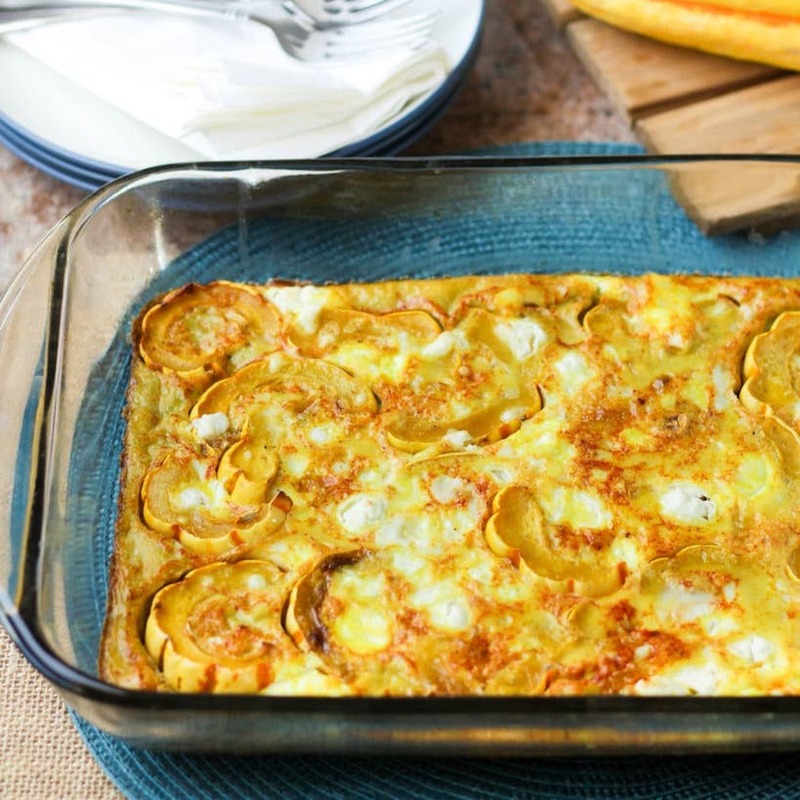 Mix up your breakfast game with this innovative delicata squash egg bake by dietitian and food blogger, Kelli, from Hungry Hobby! This delicata squash recipe is super simple, yet provides some awesome additions like turmeric and (my favorite) GOAT CHEESE! Make this dish ahead of time to try delicata squash for a protein-rich breakfast option. Who would’ve thought you could use delicata as a gluten-free bun alternative?! See, I told you this veggie was underrated 😜. 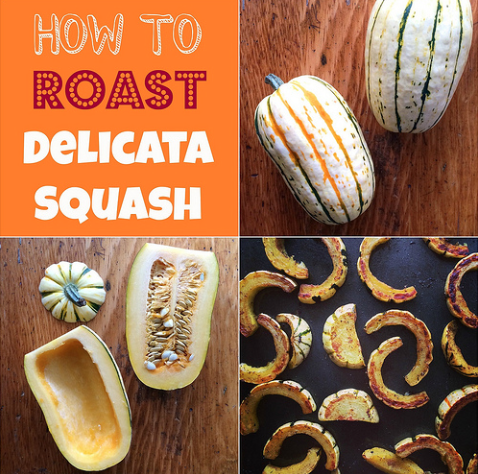 Kelli at Hungry Hobby comes in hot with another great way to use delicata squash. Her turkey burger features hidden gems like chopped apples and carrots, while the delicata is simply roasted in the oven. The fun part? 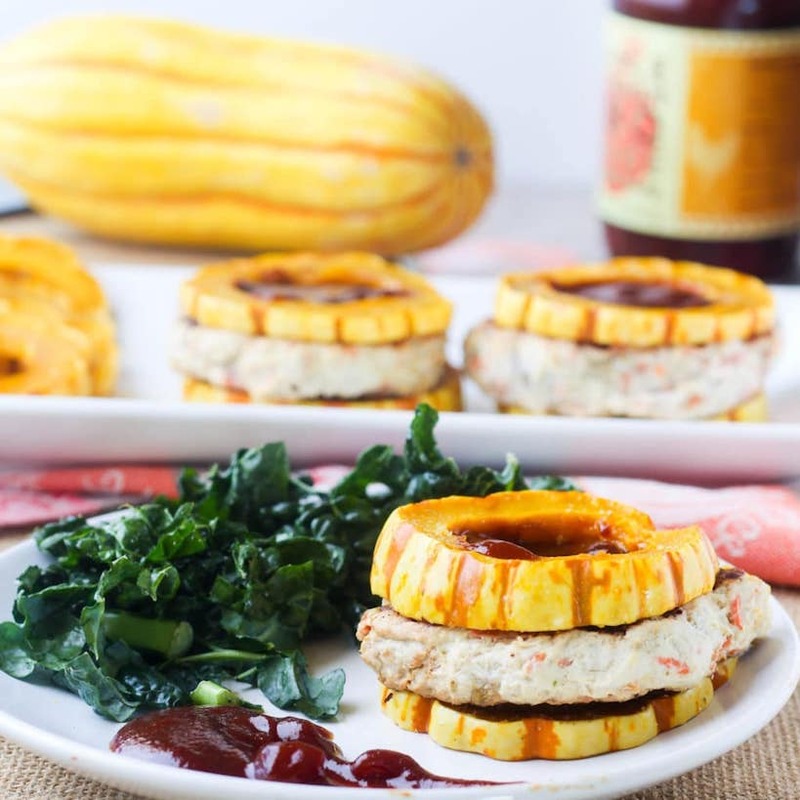 The rings in the middle of the squash create a perfect little sitting place for some tasty barbecue sauce! Is it taco Tuesday yet? Amp up your taco game with this delicata squash taco recipe from registered dietitian, Katie, over at Mom’s Kitchen Handbook. 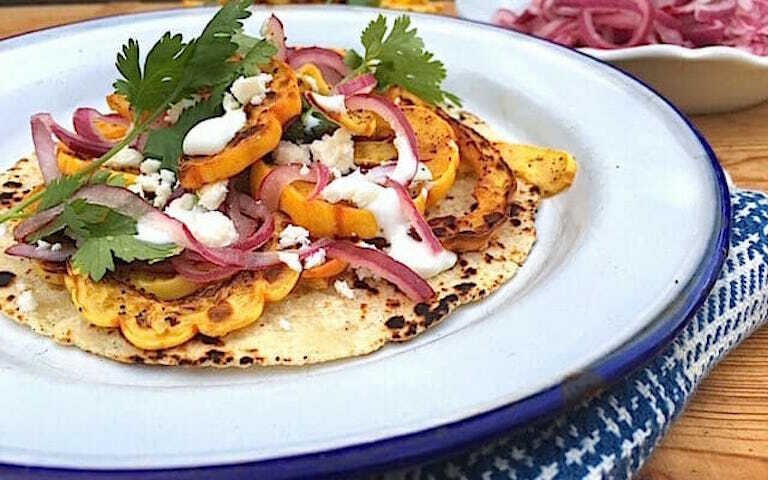 Katie gives a unique twist to these tacos by using delicata squash as the plant-based filling, and including an easy, pickled onion to top it all off. This vegetarian dinner is not only tasty but easy on the wallet too!